The cross-section of each arch contains three merged boxes. The superstructure of the bridge is supported by columns. Four traffic lanes crosses the bridge in each direction. 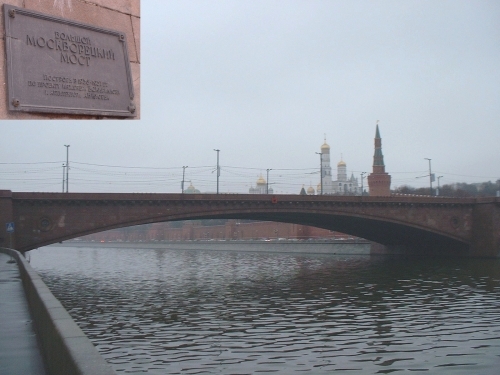 Two types of the degradation are noticed on the bridge. Settlement in the centre of the arch which provoked the cracking of the stone walls near abutments on both sides of the bridge, and chloride diffusion that practically transverses the upper wall of the arch boxes in some sections, and penetrates inside the boxes. The condition of the bridge after nearly 70 years of service and its functional and historical importance have led the authorities to decide to continuously monitor structural behaviour of the bridge. The aim of monitoring is increase the knowledge concerning the structural behaviour of this very old structure, to increase safety and reduce maintenance costs. 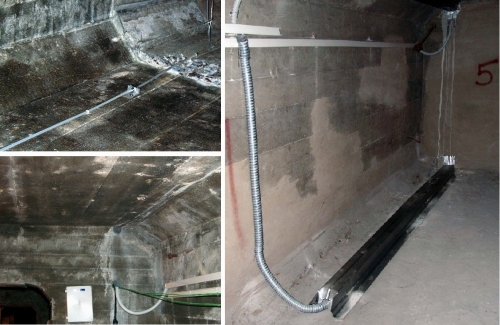 Total of 16 standard SOFO sensors are installed in order to continuously monitor average strain along the arch, curvature in both, horizontal and vertical direction and the deformed shape using the SPADS software. In order to distinguish thermal influenced 6 thermocouples are also installed. In a later stage the prewarning and warning system will be set using the SOFO VIEW software. The data is sent remotely to the control room using a telephone line. The installation of all the SOFO equipment was completed in June 2003. The long-term monitoring started.